Maine Deep Sea Fishing Charters, F/V Liveliner, offers deep sea fishing off the coast of Maine. About Us. Catch Giant Bluefin Tuna, Shark, Haddock, Pollock. Whale Watch Cruises. Harbor Cruises. LiveLiner is a 31 foot 'JC' Downeast style custom fishing boat. She is equipped with state of the art electronics, Down below is a private head, comfortable bunks, and a sink with hot and cold running water and sirius satellite radio for your listening pleasure. Safety is our number one priority aboard LiveLiner. We pride ourselves on maintaining a very clean boat. Aboard are 2 VHF radios, 2 Gps systems. A life raft , an “EPIRB” (Emergency positioning Satellite Radio Beacon) personal flotation devices with lights, offshore flare kit, lifesaving ring, fire suppression equipment, and extensive first aid equipment. We comply with all the commercial Coast Guard regulations and inspections and are fully insured. 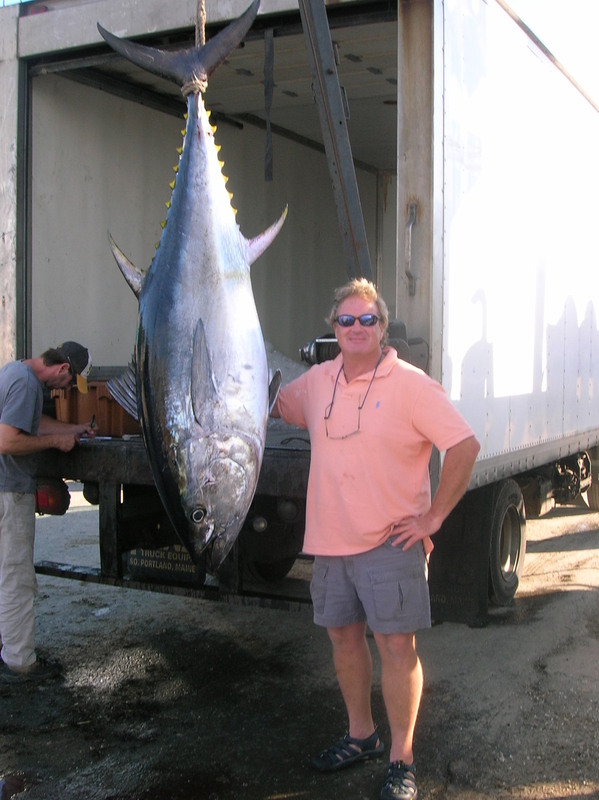 Captain Hugh has been fishing the waters off the New England coast for over 20 years. He's had the good fortune to fish in Alaska, Mexico, Jamaica, Costa Rica, Florida and Honduras. During the harsh New England winters he usually manages to escape for several warm water scuba diving getaways. Captain Hugh lives for spending as much time on the water as possible. Any free time he gets in the summer he likes to haul his lobster traps and squeeze in some local scuba dives.